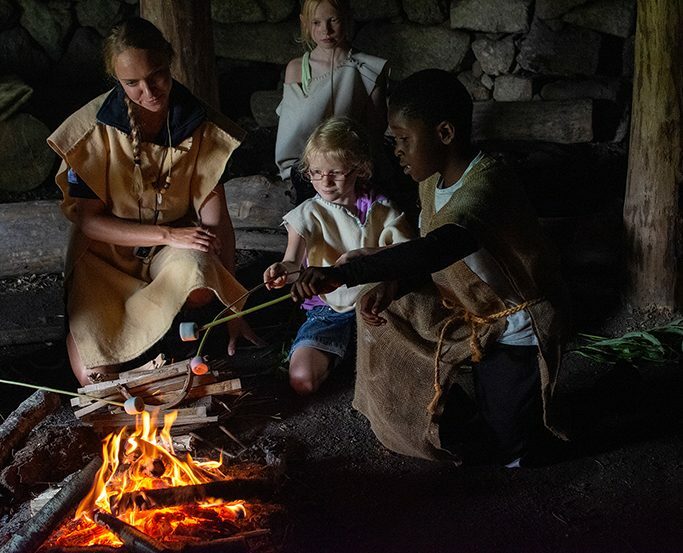 Travel back 4,000 years and experience life as it would have been for a family living in the Bronze Age. Based in our authentic roundhouse and garden, you dress up and take part in daily tasks such as cooking, pottery making, digging, willow work and music-making. 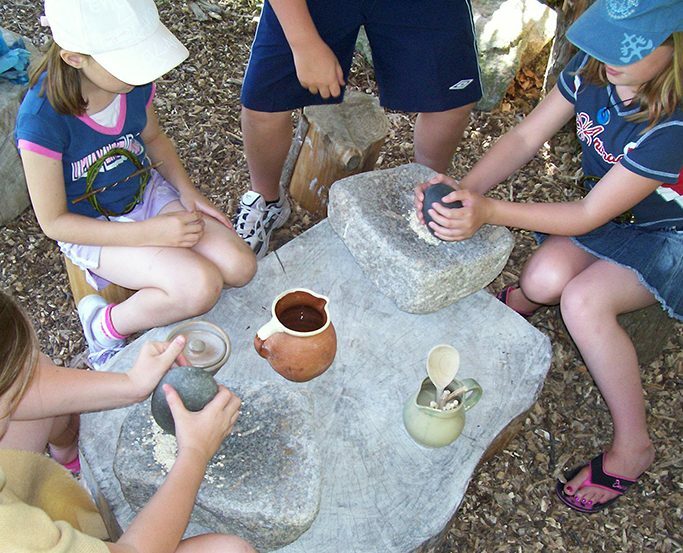 This is a hands-on and unique experience, allowing you to immerse yourself in the daily life of a Bronze Age community. Discover the energy that each task requires and compare with similar processes performed today, with a particular focus on sustainable development and careful use of resources. The session ends by sharing your experiences and reflections around the glowing embers of the campfire.